Miss Brightside’s Maids window cleaning services will get your home ready for the holidays. The holiday season is upon us, and the list of things to do gets longer every day. When you have too much to do and too little time to do it you can easily feel overwhelmed and stressed. Nobody needs that! The holidays should be a joyful and stress-free time! We can help take away some of the hassles for you by getting your home ready to receive family and guests. And a thorough window cleaning before guests arrive will ensure your home looks bright and beautiful. You will have peace of mind just knowing your windows are clean. We will clean your patio door glass, storm doors and the inside of most other windows that are easily reached until they shine! Dirty windows and doors won’t make the best first impression when guests arrive at your home. Having clean windows when people come to your home is an indication that you have pride in your home and made the extra effort to get ready for the holidays. A poor impression can be avoided entirely when you have the professionals at Miss Brightsides Maids clean your windows for the holidays and impress your guests. Sparkling clean windows look attractive from the outside enhancing the curb appeal of your home. Window cleaning also is one of the best ways to ensure you have bright, natural light streaming into your home. It makes any room in your house seem bright and homey, especially on days when it’s cold and gloomy outside. We know the importance of keeping your windows clean. Not only does it look great, but routine window cleaning also increases efficiency and reduces the appearance of hard water spots. We recommend professional window cleaning at least once a year for residential homes. Homeowners looking for reliable and streak-free window washing services will not go wrong with Miss Brightsides Maids home cleaning services, including annual window cleaning. By having your windows professionally cleaned before the holiday rush means just one less task for you to perform, freeing up your time to enjoy all of the holiday fun. Miss Brightsides Maids window cleaning teams have the proper training, equipment and materials to clean your windows properly. Homeowners won’t have to worry about hauling heavy, cumbersome equipment or climb up and down ladders. All you have to do is the decorating to make your home look beautiful. Miss Brightsides Maids offers affordable rates for homes of all sizes. 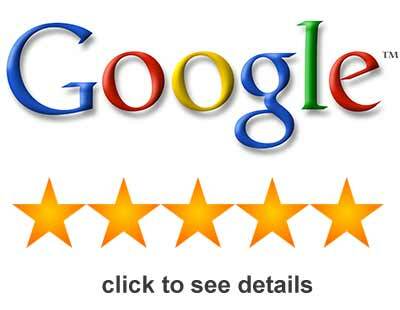 We believe in quality service at the best rates. 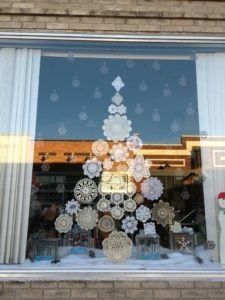 You can rely on us when it’s time for holiday window cleaning. Please call our office or contact us online if you have questions about window cleaning. Miss Brightsides Maids proudly serves the Johnson County area. Our professional maids have what it takes to make your entire home sparkle and shine with our holiday window cleaning services.